The Open was the first of its kind, a truly open competition. Anyone, anywhere could compete. The 2011 Reebok CrossFit Games season began with the first ever Open competition. Athletes worldwide competed in six workouts over six weeks, posting their scores in real time and online. Anyone could throw their hat in the ring to compete for a position among the fittest athletes in the world. In all, more than 26,000 athletes competed in the Open, making it one of the largest sporting events in history. Competitors had two options to validate their performances. They could workout at a local affiliate, where they would be judged in person, or they could submit video evidence of their performance to the entire community. While there were some truly awesome video submissions, surprisingly, 97% of the competitors chose to validate at an affiliate, demonstrating the global reach of the CrossFit movement. Provided that each workout was completed and score submitted prior to the close of each week, there was no limit to the number of attempts. Some chose to lurk in the shadows, banking it all on a single last minute effort. Others did the workouts three or more times, risking burnout to better their position with each attempt. Officially, competitors were ranked by region. The 60 fittest athletes and 30 fittest teams from each region earned invitations to one of 17 Regionals. However, the entire pool of competitors was also ranked worldwide. Among the men, two who had never before been to the Games dominated the competition; Dan Bailey won overall, edging out Joshua Bridges by just one point. Among the women, an unbelievable race between two Games veterans, Kristan Clever (2010 1st place winner) and Annie Thorisdottir (2010 2nd place winner), resulted in a first place tie. Two Southern California teams, Valley CrossFit and CrossFit Invictus, took the top spots in the team competition. The masters competition expanded in 2011 from one division to four. Over 1000 athletes above the age of 45 competed for a top spot in the Open. 20 of the best from each age division earned a place at the 2011 Games. 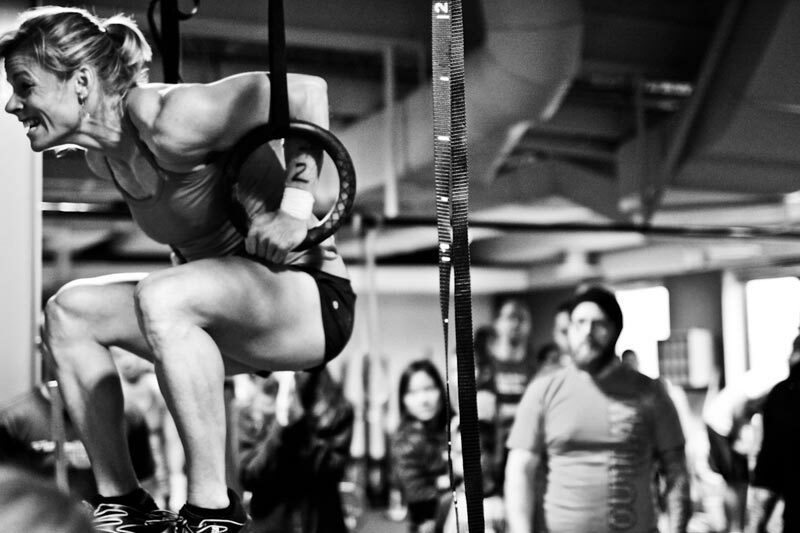 The CrossFit Games stands alone as the ultimate test of fitness. No test, regardless of its lofty claims, can grant legitimate title to the best without first providing access to all. The Open was a truly "open" competition. Anyone from anywhere could participate. The next step was the Regionals, where the virtual became live. See all the details here.